It was 1991 when one 19-year old guy from Moscow the rockabilly crowd understood that he didn't like any band in the city playing rockabilly and rock-n-roll: the lyrics were generally in Russian and the music was like the mainstream Er and Bill Haley hits; and a lot of covers of Blue Suede Shoes and Tutti Frutti too. .$ 4 By that time Oleg "Kletchaty" Berezin ha already got acquainted with old Moscow underground musicians and they shared with him'the cords of Eddie Cochran, Gene Vincent and Johnny Bur-nette trio, full of the rebellious 50s spirit. That is the beginning of the Alligators story. The guys acted strongly in their desire of successful pro-motion of the rockabilly style. They made the gigs and organized festivals, though it was not so easy in those years. By that time they created their own songs in English, which took their place on a par with the covers of favorite 50's hits. 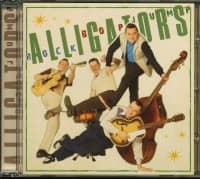 Besides music The Alligators paid special attention to study his-tory of all rockabilly movement too. 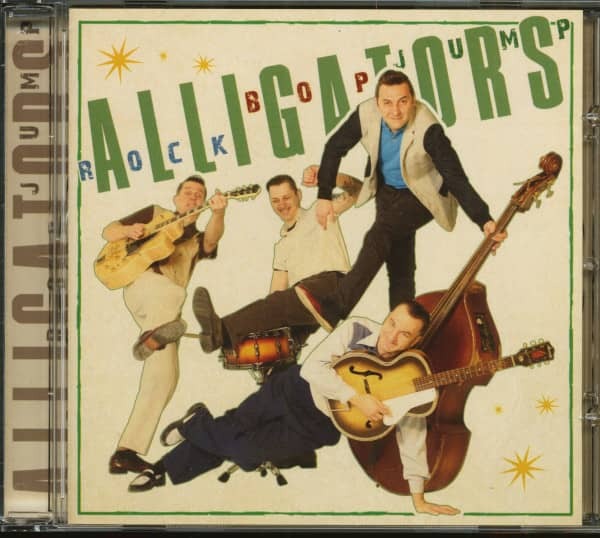 By 1994 the Alligators passed a long way from authentic sound to strong neo-rockabilly and back. But unfortunately the band stopped playing — some of the group had left music, the others contin-ued to work in the new projects. In 1999 Oleg has ceased to play with the Skyrockets and decided to restore his first project. The end line-up of the restored band (after several replacements) was: Alexey "Hans" Kitaytsev (ex. Jail-breakers), Nikita Garanin and Anton Hotylev. Some time later Nikita left the band for state service. Anton became guitar player and the guys took a new drummer — Mikhail Markelov (ex. Hi-Tones), the youngest in all the band. At last the guys decided to record at least one album. Earlier the guys, as usual, paid little attention to advertising and promotion of the band. It was enough for them to play the music that they love. So, they started recording more than 25 years after the beginning of the band! 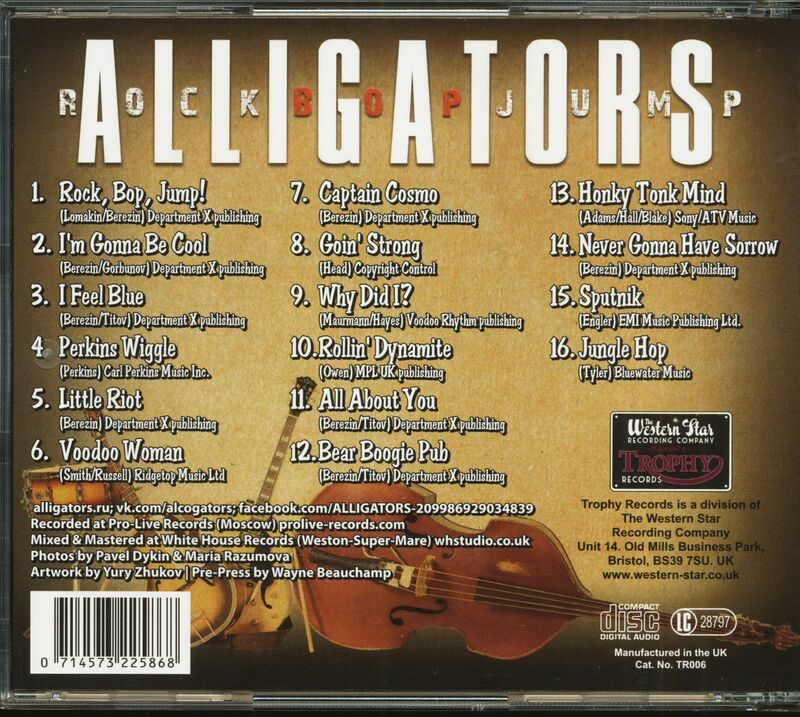 Now, you hold in your hands, the first album of the Alligators. The band which was one of the found-ers of rockabilly movement in Russia. The band which for many years have stayed true to the rockabilly music and lifestyle. Customer evaluation for "Rock, Bop, Jump! (CD)"